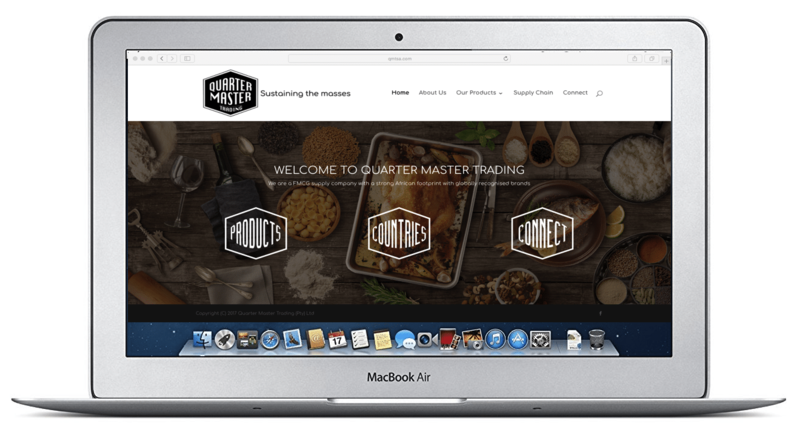 QuarterMaster Trading (QMTSA) came to Savvy Sprout with an urgent request for a new website build in line with specific requirements. This was a unique project as there were extremely tight deadlines with a lot of work that still had to go into building out key website components. Caroline from QMTSA says, “we approached Savvy Sprout based on a referral from a contact we had. Savvy Sprout developed their entire corporate branding portfolio, including their website, and they were very happy.” This was an interesting project for us as it required quite a bit of guidance from our side and giving instructions to the client to delivery certain information in return. Our approach is to give our clients the best possible service and final product. 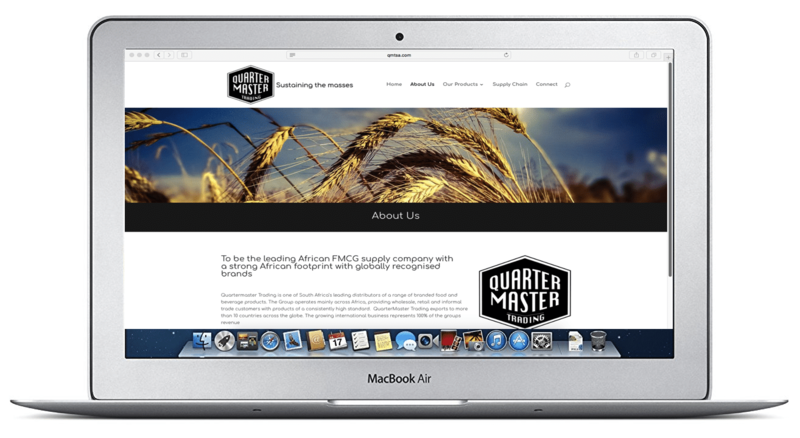 As a result of this commitment to excellence, we are proving QuarterMaster Trading with ongoing support and website development as part of their initial design scope. The need to for ongoing support is mainly due to time constraints in developing content, which is often the case in website design projects. This client-oriented approach is reason why we don’t open and close a project within a certain timeframe as we understand that a design or re-build takes time and often requires more client input that they initially anticipated. This is the main reason why going for the cheapest design option often leaves business owners feeling down as these agencies are volume-based, where we focus on quality and ongoing relationships. “Savvy Sprout treated us with professionalism and delivered upon their promise. We gave them a very tight deadline and they were able to deliver on our needs and requirements and kept us informed at every step. We were impressed with their constant communication making it very clear what was required. They know that we were not the experts and provided us with a clear plan, and let us know exactly what was required from us. We will most certainly recommend them and we are very satisfied with our website,” says Caroline from QMTSA.